The Office of the Government of Laos announced on February 20, 2012, that the authorization to allow foreigners to adopt Lao children is suspended until appropriate regulations and procedures are established on intercountry adoption. Updated information will be provided as it becomes available on adoption.state.gov. Effective January 1, 2012, the Government of Bhutan temporarily suspended all intercountry adoptions pending approval of a new adoption law by the King. The adoption bill was drafted to clarify Bhutan’s adoption procedures. The National Commission for Women and Children (NCWC), the Bhutanese government agency responsible for overseeing intercountry adoptions, is unable to estimate how long it will take for the adoption bill to be approved, but indicated it is not aware of any pending cases involving the adoption of a Bhutanese child by U.S. citizens. Prospective adoptive parents who believe the suspension affects their adoption of a child from Bhutan may contact the NCWC by email at admin@ncwc.org.bt to inquire about the status of their case. The NCWC indicated it will review each case on an individual basis. Prospective adoptive parents may also visit NCWC’s website for additional information about adoptions in Bhutan. Please also continue to monitor adoption.state.gov for updated information. The U.S. Embassy in Honduras informs citizens that the Instituto Hondureño de la Niñez y la Familia (IHNFA ) recently reinstated U.S. adoption agency Living Hope Adoption Agency, per IHNFA’s resolution SG-014-2012. This message updates the prior Message for U.S. citizens published on January 30, 2012. Living Hope Adoption Agency is now accredited by IHNFA and is approved to process adoptions for families in Honduras. Both Living Hope Adoption Agency and Gladney Center for Adoption, which were reported on January 30th to have been barred by IHNFA, have now been reinstated by IHNFA to process adoptions. The Embassy continues to monitor the adoption situation in Honduras and will update U.S. citizens accordingly. Meanwhile, we recommended that families who have not finalized adoptions contact IHNFA directly at 011-504-2235-3565 to be sure their applications are handled by an accredited adoption agency. Note: As of March 23, 2012, this information does not yet appear on the DOS Adoption Notices & Alerts page. The Office of Children’s Issues wishes to provide a further update for U.S. citizens interested in intercountry adoptions with Cambodia. The Cambodian Ministry of Foreign Affairs and International Cooperation recently announced to all embassies with diplomatic and consular missions in Cambodia that the Cambodian government has decided to delay the date that it will begin receiving adoption petitions until January 1, 2013. The Cambodian government is still working to establish the necessary internal child welfare structures to function as a Hague partner. The Special Advisor for Children's Issues, Ambassador Susan Jacobs, met with the host government officials in January 2012 regarding Cambodia’s ability to meet obligations for conducting intercountry adoptions. The United States continues to support Cambodia's efforts to create a child welfare system and an intercountry adoption process that fulfills its obligations under the Hague Adoption Convention. We welcome Cambodia's efforts to fully implement its new law on intercountry adoption. Updated information will be provided on www.adoption.state.gov as it becomes available. PEAR has been alerted to some very concerning issues surrounding China’s special needs adoptions. We believe that adoption service providers (ASPs) are stepping up the recruitment and engaging in unrealistic practices due to their financial pressures as well as pressure from CCCWA to place SN children via a rumored reward program: 1 additional non SN referral for every 5 SN placements. We also believe that the long wait for healthy young children has encouraged Prospective Adoptive Parents (PAPs) to underestimate the potential issues surrounding the parenting of special needs children, especially older children, and to overlook unethical practices in exchange for quicker placement of children. We are also deeply concerned with the magnitude of influence of unregulated adoption advocates in the adoption process. In addition to the above, we are dismayed at the lack of candor, transparency, and communication being provided by both Central Authorities involved in governing adoptions from China to the United States. At this time, we believe that the special needs placement programs involving Chinese children are riddled with unethical, nontransparent practices that do not adequately safeguard the children involved. The result is commodification of children, dilution of the integrity of adoption, and the placement of unwitting children and adults into crises situations. There has been much talk lately about various agencies being willing to work with orphanage directors and the China Adoption Authority to change information in a child’s file in order to classify the child as special needs, or to change a child’s birthday in order to allow an adoption of a child who has aged out under either China or US law. We are very concerned that some agencies have the power to exert pressure on orphanages and the Chinese authorities to do this. Changing a child’s age is fraudulent activity not only under the adoption laws of China and immigration laws of the US, but also against the child being adopted. PAPs hoping to have a child’s information changed (this has happened where a family has previously met the child as either missionaries or visitors to an orphanage) have been referred to specific agencies due to their “great favor” with China authorities and willingness to help families with this type of case. PEAR has alerted the COA and US DOS Office of Children’s issues concerning the specific agencies alleged to be engaging in this practice. PEAR opposes any practice that alters a child’s history or identity. Children from China are already denied so much of their history due to the practice of abandonment. US agencies and US prospective parents should not be taking measures to further alter the identity and history of these children. PEAR is concerned with manner in which special needs children under the China program are being “marketed” to prospective parents. While we understand the desire of agencies and adoption advocates to find homes for all children who may benefit from placement, it is our opinion that much of this “marketing” downplays the significant issues that may face families adopting special needs children. We also believe that the current practices of unregulated adoption advocates and the widespread sharing of information on available children violates both the laws of China and the US as well as the basic privacy rights of minor children. While we fully support adoption of special needs children, we also believe that families need to be realistically prepared to parent these children. The referral information must be complete and truthful. Some Parents have not been advised of the severity of the child's needs resulting in disruptions and dissolutions. Placing a child in a home unprepared to properly care for that child is never in the child’s best interest. We also believe that in many cases, adoption agencies and unregulated adoption advocacy groups mislead PAPs with verbal reassurances, downplaying of the severity and/or potential complications of the special needs, and communal pressure. Although PAPs go through Hague mandatory training concerning special needs, we are aware that many PAPs are mislead with verbal reassurances that training outlines “worst case scenarios” and that post-adoption support and services are widely available, affordable, and easily accessible. PEAR is aware of several cases where older child adoptions have failed once in an American adoptive home due to the vastly different expectations and ideas about what the placement means to both the parent(s) and the child. We believe that children have a right to privacy concerning identifying information, especially medical records. Sharing this information widely and openly violates this right to medical privacy, especially where information is accompanied with photographs and other personally identifying information. We call on all ASPs, adoption advocates, and PAPs to respect children’s privacy in their policies and actions. We have heard anecdotal evidence of orphanage workers in China receiving bribes for every older child placed through adoption programs. This practice turns children into a commodity and discourages acting in the child’s best interests, it also violates Article 4 (c)(3) of the Hague Convention. Economic conditions being what they are for adoption agencies have lead to unfair and unethical practices to boost placements. We were recently alerted to a situation that demonstrates a growing trend of “case stealing” among agencies. Apparently, agencies are counseling clients to join list-serves such as Waiting Child Advocates on Yahoo, who list individual agency’s special needs children. The clients of agency A will join the list, find a child on Agency B’s list and request further info from agency B, then take this info back to Agency A who will submit an Letter of Intent (LOI). PEAR has alerted the COA and DOS to specific examples of this practice and we hope that it is being thoroughly investigated. 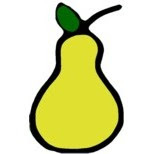 PEAR requested comment and clarification from Wasatch and CCCWA, but have received no replies. We also wrote to the US DOS Office of Children’s Issues, the Central Authority under the Hague, for clarification as to why they had not published an Adoption Notice concerning this as they have done so for agencies suspended from submitting dossiers in other countries (see most recently: Notice: Barring of Two U.S. Adoption Agencies by IHNFA http://adoption.state.gov/country_information/country_specific_alerts_notices.php?alert_notice_type=notices&alert_notice_file=honduras_1). Neither CCCWA nor The US Department of State, Office of Children’s Issues have responded to our requests or offered any public information, not even a simple confirmation concerning this suspension. The failure of Central Authorities to provide complete, transparent information concerning accredited adoption service providers has lead to a flurry of rumors, mistrust in the Hague Adoption systems, and an inability for prospective adoptive families to make informed choices of providers and country programs. The adoption landscape of China has changed dramatically from the days when baby girls were routinely abandoned. There are now waiting lists of hundreds of Chinese to adopt both boys and girls. Unethical competition in a shrinking industry with lack of adequate government oversight is creating an especially chaotic and hazardous process for PAPs and Chinese children. PEAR hopes authorities will act to curb the current abuses and create proactive policies to prevent future abuses. The complaint on which this suspension is based was filed in November 2010. 96.35(a) & 96.44(a) - The agency provided a referral to a family prior to the family’s completion of the homestudy and receipt of approval of its 1800 A application from US Citizenship and Immigration Services, failing to take into consideration the best interests and safety of the child. 96.42(c) - Confidential information about a prospective adoptive parent’s children was released without the prospective adoptive parent’s written authorization. 96.40(a) - The written fee information provided did not provide a clear breakdown of fees regarding expected total fees and estimated expenses and an explanation of the conditions under which fees or expenses may be charged, waived, reduced, or refunded and of when and how the fees and expenses must be paid. 96.40(b)(1-7) & 96.40(c)(1-2) - The written fee information provided did not conform to the categories and details defined in the standards. 96.40(g) - The agency charged additional foreseeable fees beyond what was disclosed in the adoption contract. 96.35(a) - The agency requested and received payment from a prospective adoptive family for an activity unrelated to their adoption which it planned to deduct from their legitimate adoption fees. I'm wondering if this is too specific. 96.49(a) & 96.49(b) - The agency failed to provide a prospective adoptive family their referred children’s medical records. 96.49(d)(2-4) - The information contained in the agency’s records did not demonstrate that the agency employed reasonable efforts on behalf of the family to obtain medical information and information that was provided did not fully address the standards. employed reasonable efforts on behalf of the family to obtain social information and information that was provided did not fully address the standards. 96.49(g) - The agency failed to document in the record the efforts made to obtain medical and social information and why it was not obtainable. 96.49(k) - A prospective adoptive family was not given two weeks to consider the needs of the children that were referred to them and their ability to meet those needs. Status of the Adverse Action: Huminska’s Anioly’s Hague Approval is suspended from March 6, 2012 through April 5, 2012 or until such later date when corrective action is complete. PEAR has received numerous reports from adopting families and NGOs on the ground in Uganda regarding unethical conduct by adoption agencies, adopting families, and local facilitators and officials in Uganda. Due to the seriousness of these reports, the rapid increase in interest in adoption from this country, and the continued abuses of the adoption process in Uganda, it is PEAR’s recommendation that families looking to adopt ethically do not initiate adoption from Uganda at this time. We also call on the governments of Uganda and the United States to investigate allegations of corruption thoroughly and take any and all measures necessary to address these issues with honesty and transparency in order to protect Ugandan children and families as well as US citizen prospective adoptive families. 6. Recent reports that US adopting families are being advised to take children into Kenya for processing Ugandan passport applications. We are concerned about this practice and the possible repercussions of US citizens flying undocumented children across international borders. PEAR continues to monitor adoption from Uganda and will update our recommendations when believe adequate controls have been put into place to ensure ethical adoptions. This is an update to our notice dated October 5, 2011 announcing a temporary suspension on the acceptance of new intercountry adoption cases in India. CARA has informed the U.S. Central Authority that effective January 20, 2012, it will begin accepting new adoption applications under its new guidelines. Under the new guidelines dossiers must be forwarded to CARA. CARA will no longer accept any dossier through a RIPA. If you have any questions about the details of the guidelines or suspension, please do not hesitate to contact us by phone at 1-888-407-4747 or e-mail us at adoptionUSCA@state.gov. ***Please note: the DOS Notice states that CARA will begin accepting applications on January 20, 2012 and the Notice is dated March 7, 2012, either DOS has a typo in the date or the tense. PEAR has submitted a request for clarification. PEAR has received a confirmed report that Huminska's Anioly, an agency providing adoption services for families adopting from Poland, has received a temporary suspension from COA. The suspension is for 30 days during which time HA may not assist in any Hague adoptions. HA is making arrangements under the Hague Regulations to transfer cases to another provider if client's adoption plans will be negatively impacted by the suspension. If you have any problems or questions that HA is not adequately addressing, please contact Jayne Schmidt: 866-262-8088 ext. 203. Adverse Action taken by Council on Accreditation towards Huminska's Anioly, Inc.
On March 2, 2012, the Council on Accreditation (COA) made the decision to temporarily suspend Huminska's Anioly, Inc. for failing to maintain substantial compliance with the Hague accreditation standards. Huminska's Anioly, Inc. is a Hague accredited adoption service provider; however, they are authorized to operate in both Hague and non-Hague countries. This agency currently operates in Poland. During this suspension, Huminska's Anioly, Inc. must cease to provide all adoption services in connection with cases covered under the Hague Convention. If you have an open case with this agency, please contact the adoption service provider directly to find out how the suspension will affect your adoption services. Please note that according to U.S. regulations, this suspension will not affect this adoption service provider's ability to work in non-Hague countries. The suspension will begin on March 6, 2012 and conclude when the accrediting entity has determined that the adoption service provider has completed the corrective action. Updated information will be provided on the adoption.state.gov website. Prospective adoptive parents considering adopting in the Democratic Republic of the Congo (DRC) should be aware that the U.S. Embassy has received reports that a number of legally adopted children, including those with valid immigration visas to the United States, have not been promptly released by the orphanages to their new adoptive U.S. citizen parents or their legal representatives. In most cases, the orphanages have eventually released the children into the care of their adoptive parents or legal representatives. Police intervention has been reported in some cases at the request of both orphanages and adoptive parents. The U.S. Embassy has limited authority to intervene in these situations, but encourages adoptive parents in such a situation to notify the Consular Section. The Government of Senegal has announced that it is temporarily suspending all new intercountry adoptions while it focuses on implementing the Hague Convention on the Protection of Children and Co-operation in Respect of Intercountry Adoption (the Convention). The Convention entered into force for Senegal on December 1, 2011. U.S. Embassy Dakar officials met with Senegalese adoption officials on February 9, 2012, to clarify which cases would be included in pipeline processing. The Government of Senegal has stated that transition cases where a Form I-600A or Form I-600 was filed with the U.S. government prior to December 1, 2011, will be allowed to finish under the previous “orphan” process. However, the Government of Senegal will not accept dossiers for new adoption cases until Senegal finishes implementing the Convention. The U.S. Embassy in Dakar has not been provided with an expected date by which the Convention will be fully implemented. Please continue to monitor adoption.state.gov for updated information. The Department of State has received reports that local departments of education and some judges in Russia have instituted a de facto freeze on adoptions to the United States. In some instances we are told that local departments of education have refused to provide referrals which are necessary for agencies and families to schedule court dates. The Department of State has not received official notice that adoptions to the United States have been suspended and continues to work closely with Russian authorities to obtain as much information on the situation as possible. Updated information will be provided as it becomes available on www.adoption.state.gov.